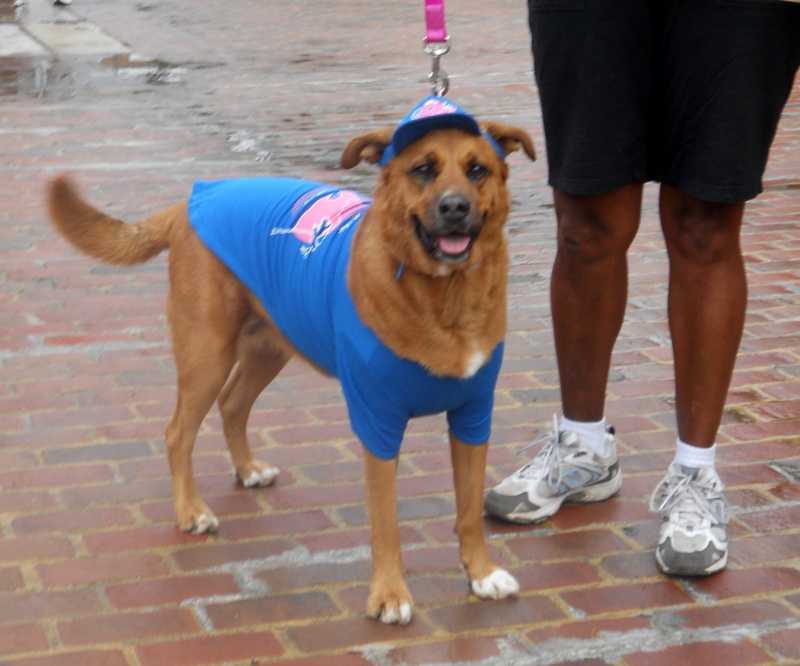 Mother Nature was kind to the Olde Towne Dogge Walke on Sunday, Sept. 25, with overcast skies threatening–but never delivering–rain. 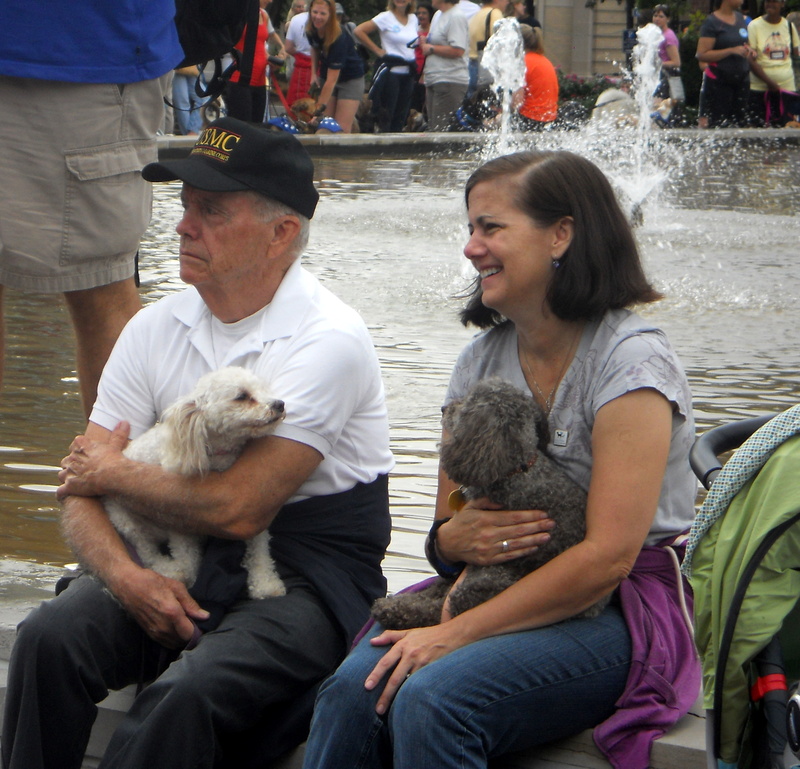 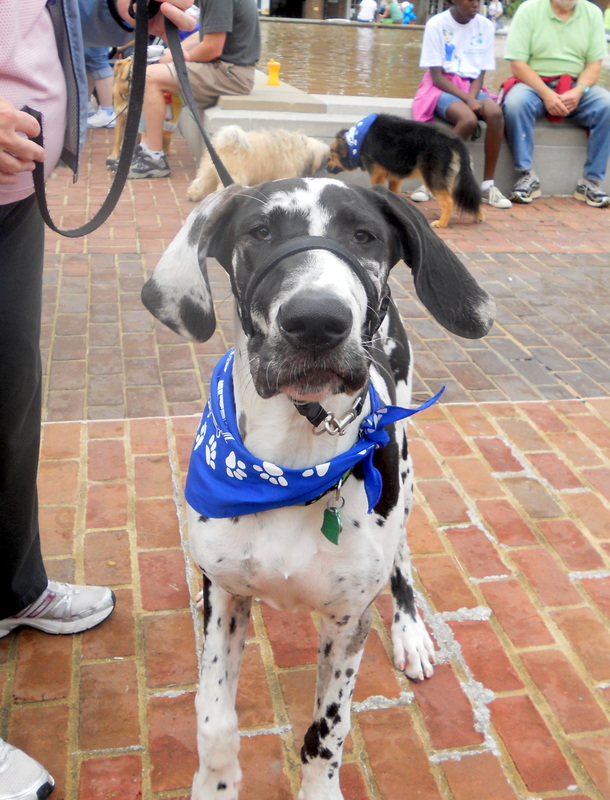 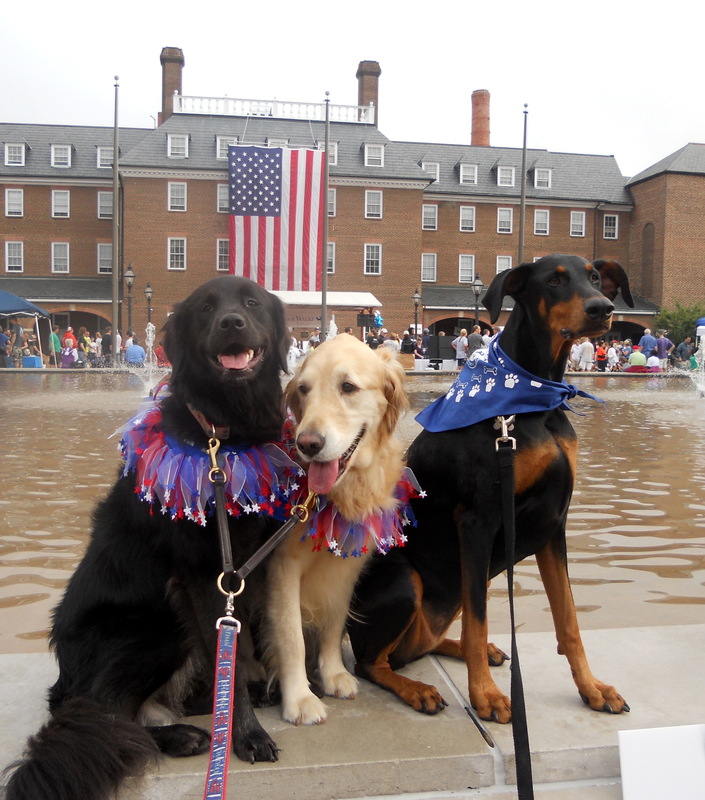 Hundreds of dogs and their owners came out to Alexandria’s Market Square to support the Animal Welfare League of Alexandria. 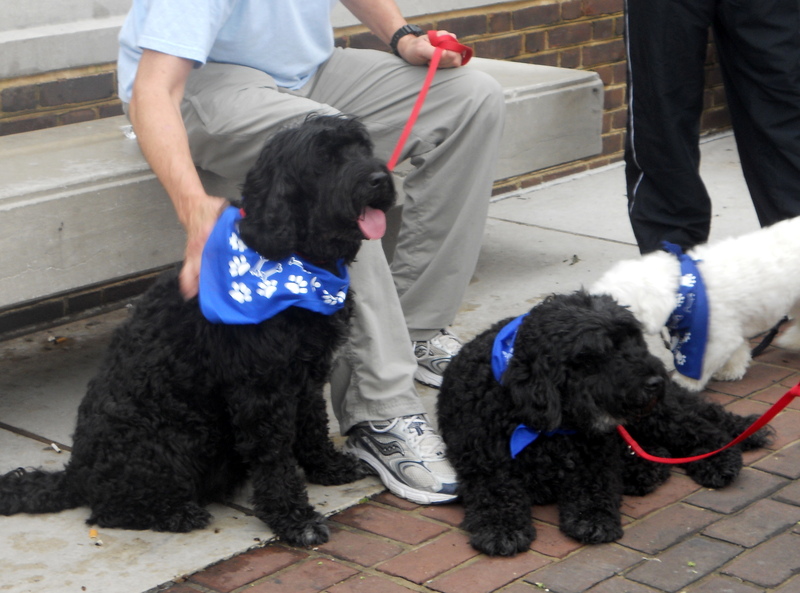 Here are just a few of the happy pups who enjoyed treats from the vendors and a leisurely 1 1/2 mile stroll through historic Old Town Alexandria. 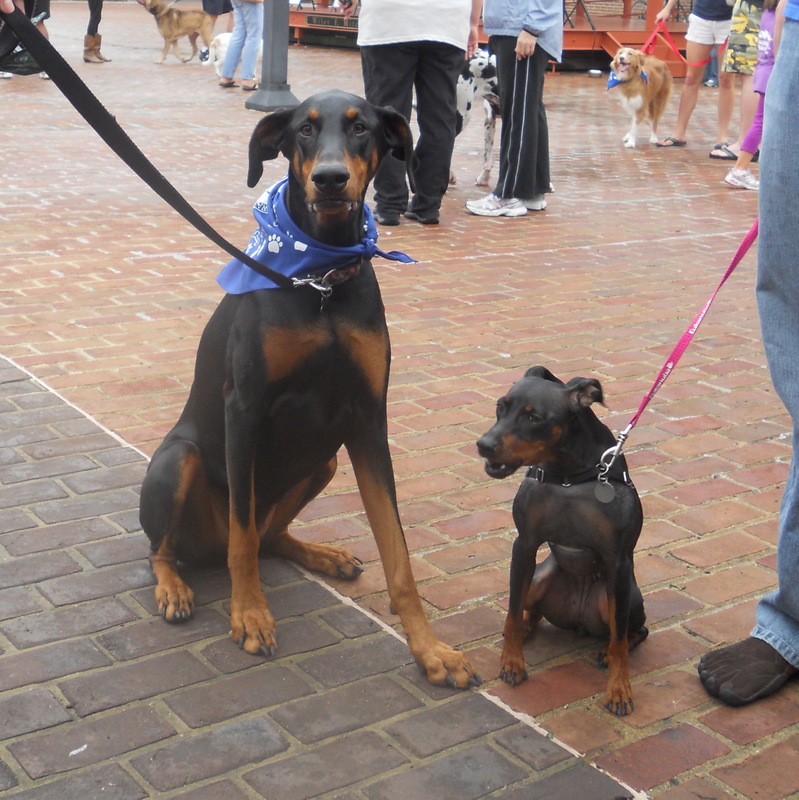 This Doberman made friends with a “mini-me,” a Manchester Terrier. 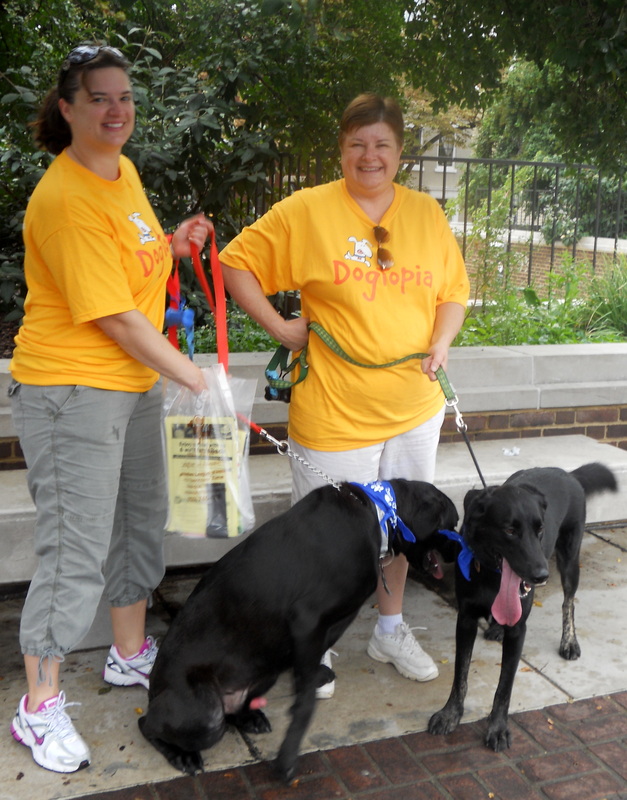 Walkers from Dogtopia stood out in their brightly-colored attire. 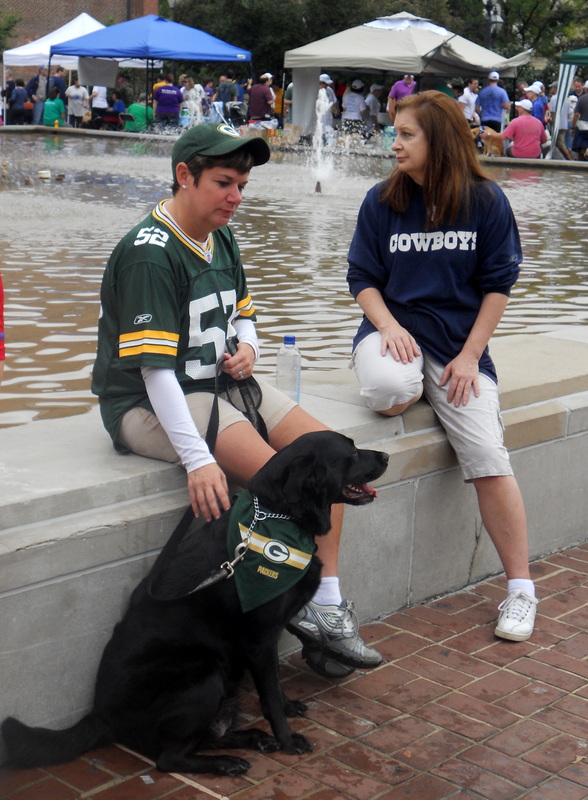 And of course, it’s not a Sunday in the fall without proper NFL fan attire for you and your dog. 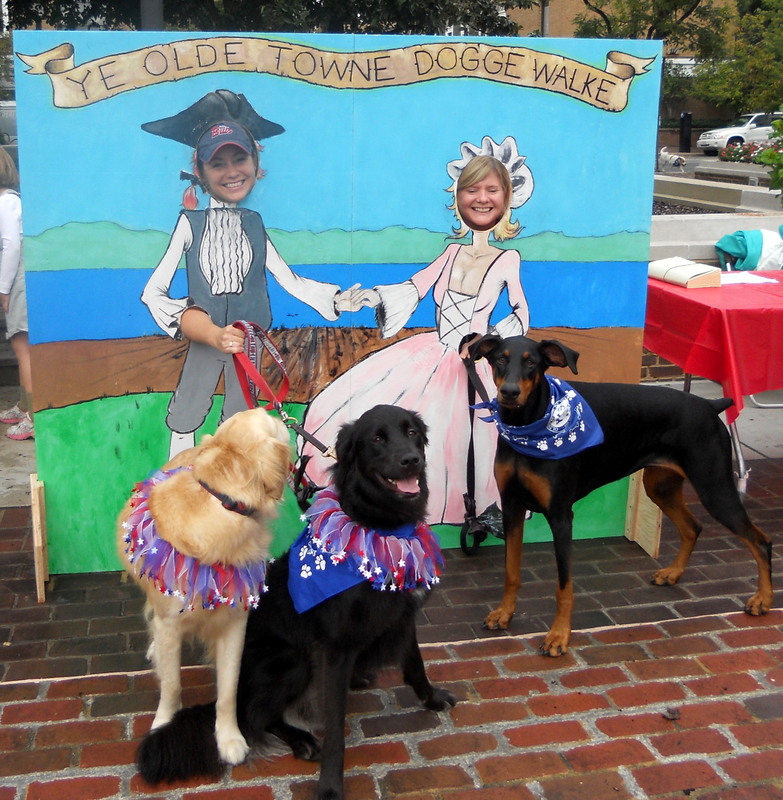 Of course we couldn’t resist the hilarious Colonial cut-out photo opportunity! 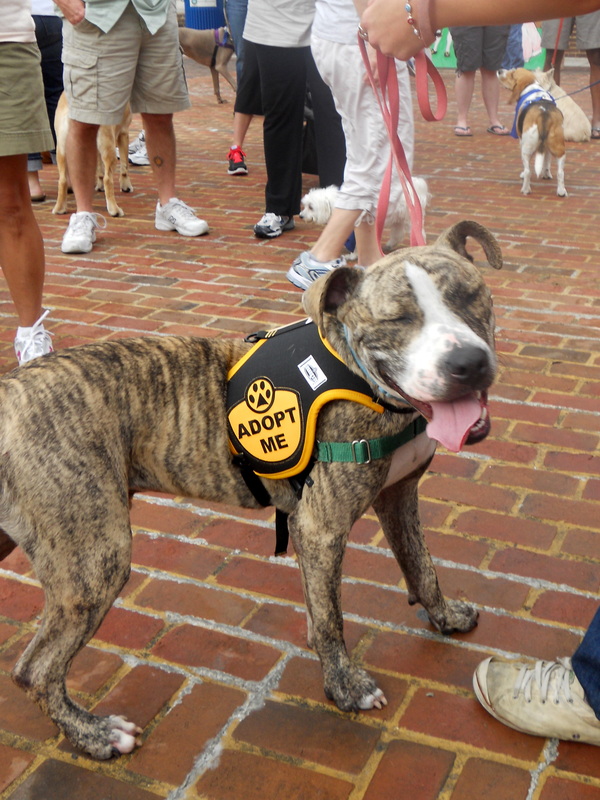 This smiley-faced cutie is available for adoption from the Animal Welfare League of Alexandria.